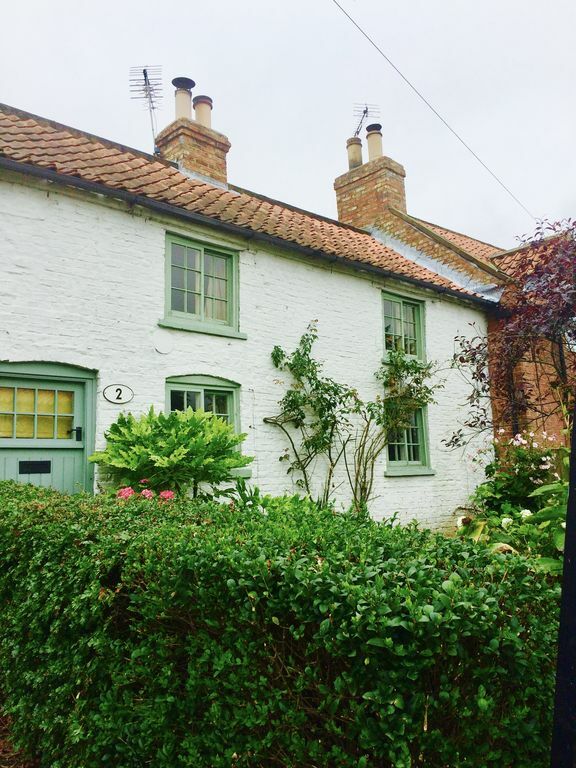 Yew Tree Cottage is a cosy character cottage that dates from the 15th Century that sleeps 4. One double and one twin that can be converted into a double. It features exposed beams and a wood-burning stove. It is situated in the lovely village of Burythorpe, Near Malton , Yorkshire's Food Capital. Well behaved dogs are very welcome. There are many local attractions to consider withe the area ranging from the historic city of York and it's majestic Minster and the infamous coastal towns such as Scarborough, Filey and Bridlington are within 30 minutes of the cottage location. Stately homes including Castle Howard where Brideshead Revisted was filmed and Sledmere House and gardens, a lovely Georgian Mansion with a fantastic farm shop and cafe'. Heading out towards Pickering the diversity of rugged moorland within the North Yorkshire Moors National Park, the setting of ITV's Heartbeat to historic museums such as Eden Camp a historic WW2 Prisoner of War Camp are all within close vicinity. Walking is a very popular pursuit and we are minutes away from the Wold's Way National Walking Trail. Cycling is a very popular pastime with some challenging hill-climbs both for road riding and mountain biking are well catered for. The Tour de Yorkshire [passed through the next village. Various country sports are offered in the area and boast some of the best locations for these pursuits in the UK. Burythorpe is a quiet, friendly village with a thriving community where you will be assured of a warm Yorkshire Welcome at the Bay Horse Alehouse with it's own micro-brewery and cosy atmosphere. I was raised in the area and after a long spell away down in the South want to reconnect with my roots again. Downstairs bathroom with claw foot bath and power shower . Lovely cottage. Very cosy with a log burner and extremely comfortable beds. Our two small dogs settled in straight away. Complimentary bottle of sparkling wine which was very kind. Would definitely recommend and will hopefully return one day, possibly in warmer weather when we would be able to enjoy the lovely back garden. I’m so glad you experienced a lovely stay and hope the birthday celebrations were fun! Thanks for a lovely review and hope to welcome you again soon, the garden is gorgeous in the Summer! Nice cottage with character but we had Dirty bedding,a lot of cob webs I had to clean the bathroom mirror has had toothpaste marks all over it,the garden was also very over grown.I think the cottage needs abit of tlc. You contacted me in the first night of your stay with your complaint which I responded to within 1O minutes and offered for the cleaner to come round the next day to rectify the cobweb and toothpaste issue which your refused to accept I also provided you with access to clean linen for that night to ensure you a had a good nights sleep. The cleaner the next day dropped off a bottle of prosecco and a card as a way of apology and goodwill gesture . I am sorry if you were you were unhappy with the resolution in sorting the problem. Wonderful cottage, once we got used to the layout. I imagine it’s so cosy in the winter months with the wood burner. We’ve stayed in ‘dog friendly ‘ properties before and they’ve often been a little shabby, not this one. It was super clean, hardwood floors were perfect for the dog. Great little pub over the road although they didn’t serve food every day. We felt very welcome in the pub, the beer was good. We only stayed three nights. Spent a couple of days on the wonderful Yorkshire beaches. We also visited the Eden Camp museum which we really enjoyed, and that was even dog friendly. Would certainly recommend this property. However my husband did struggle with the bath, he’s just had a new hip so found it difficult to get in and out. I personally loved the bath! So glad you enjoyed your stay at the cottage and we look forward to welcoming you again. We do have a podium for bath access which I will ensure is available in future. I hope this did not detract fro your stay. Wonderful, quirky little cottage in a beautiful surrounding. Thsnks so much for your lovely review and so glad you enjoyed your stay! The cottage itself is lovely - very homely. It's location is ideal for visiting the many market towns and also travelling to the coast and York.